We've been hearing so much lately about how terrible soda is. It contains all kinds of crazy chemicals and also a concentrated dose of pure evil that keeps you coming back for more. But did you know that your soda also contains alcohol? Alcohol alcohol? Like the good kind that gets you drunk? Yep, that's what a French magazine with the hilarious title of 60 Million Consumers discovered during their research. But before you get too excited and start doing soda shots, they found that the amount of alcohol in 19 popular sodas around the world was only about .001 percent—so not exactly enough to get you even halfway to buzzed. In fact, Coca-Cola has long noted on its website that its products have trace amounts of alcohol, and Coca-Cola France's scientific director, Michel Pepin, explains why: "[A]lcohol traces come from the process of making our drink according to its secret recipe." Ooh la la. Of course, for your average citizen this really means nothing, since it won't impair your ability to function, even if you drank more liters of Coke than you could stomach. (Also, if necessary, you can try generic store brands, which for some reason didn't have any alcohol.) Coke's website even says the government and religious organizations have recognized that the amount is so minscule that it's considered acceptable for people who don't drink alcohol. 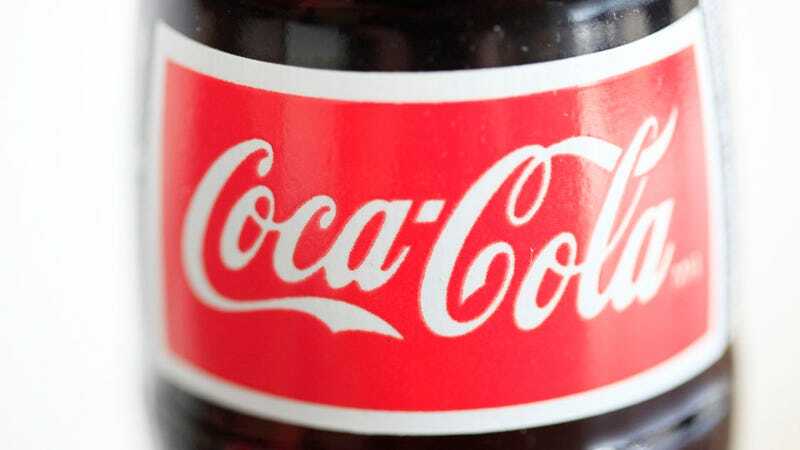 Still, apparently to avoid anyone getting too worked up, Coca-Cola has announced they'll alter their recipes to de-alcoholize them for the U.S. But they aren't going to do it worldwide. Ahh, time very well spent... Though instead of freaking out about the teensy drop of alcohol in every soda, it might make more sense to insist that they remove the 4 methylimidizole that is in Coke, according to Business Insider, since it is actually considered a carcinogen.